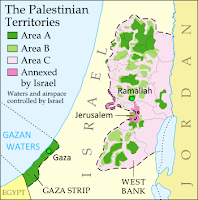 This year the international ISO standard for country names also made two updates based on changes that actually happened in 2012: Somalia became "Federal Republic of Somalia" after its Transitional Federal Government was replaced by a permanent one, and "the Occupied Palestinian Territory" became "the State of Palestine" to reflect official U.N. usage after Palestine was upgraded to country status by the organization's General Assembly. Though the membership roster of the ever-conspicuous United Nations didn't change this year, and the world's more obscure intergovernmental organizations are too many to keep up with, there were some changes to the member lists of prominent world bodies. 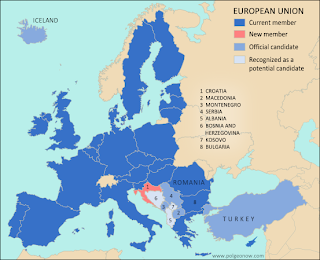 Perhaps most notably, Croatia joined the European Union (and left CEFTA), and both Laos and Tajikistan became members of the World Trade Organization. The world's partially recognized countries continued to struggle for international validation in 2013. Kosovo proved most active with eight new recognitions, bringing its total to 53% of all U.N. members. Meanwhile, Palestine has the most total recognitions for a country not in the U.N., gaining two and revealing one more in 2013 for a total of 69%. On the other hand, late in the year Taiwan lost recognition from the Gambia, bringing its number of diplomatic allies down to just 22 (11% of U.N. members). 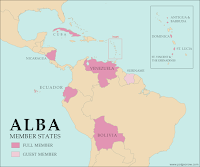 In the messy foreign relations of Western Sahara, Haiti "withdrew" its prior recognition of the disputed state (though there are arguments this is legally invalid), while Barbados, Saint Vincent and the Grenadines, and Panama "froze" their relations. However, Honduras re-initiated its relationship with Western Sahara after allegedly withdrawing recognition in 2000. Meanwhile, South Sudan, the world's newest country, established diplomatic relations with Benin this year, though since it's an uncontroversial member of the U.N., all the world's countries are already assumed to recognize it by default. Many - probably most - of the world's countries maintain territorial disputes with their neighbors, disagreeing over borders or claiming key regions as their own. 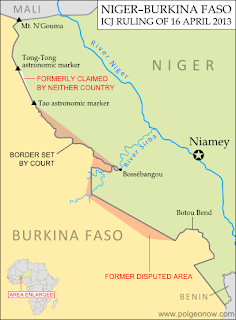 But this year saw the resolution of two such disputes, one over the course of the border between Niger and Burkina Faso, and the other over the land surrounding Preah Vihear temple between Thailand and Cambodia. Meanwhile, small disputes sprung up on the Guinea-Côte d’Ivoire border and between India and Myanmar, though neither has developed into a high-level international spat. Conversely, another new claim was probably all bark and no bite: upset over an existing dispute, Nicaraguan president Daniel Ortega threatened in August to "recover" an entire province of Costa Rica. No major disputed territories seem to have traded hands violently this year, but there have been some power shifts nonetheless. Though the dispute was legally resolved years ago, Nigeria only just this summer finished transferring the Bakassi Peninsula to Cameroon's control. Meanwhile, the northern region of Kosovo, whose local government considers it part of Serbia, saw a change in status as Kosovo agreed to grant it partial autonomy. And in the hotly disputed South China Sea, China consolidated its control over the Filipino-claimed Scarborough Shoal, while also laying siege to another shoal occupied by the Philippines. However, the two highest-profile disputes this year were probably the Senkaku/Diaoyu Islands in the East China Sea and the Falkland/Malvinas Islands in the South Atlantic, though neither experienced any real change of status. 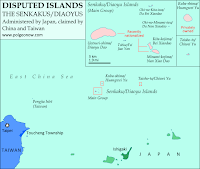 The Senkaku/Diaoyus have been the scene of escalating brinkmanship between China and Japan, while the Falklands incurred the wrath of Argentina when they voted by a margin of 99.8% to remain a U.K. territory. This year PolGeoNow published a map of the Falklands' disputed seas, a map and feature on the Senkaku/Diaoyus, and a photo-illustrated dossier on the latter group's eight different islands. Though neglected by most maps, maritime and airspace claims are very important to modern international relations. No changes to claims of territorial waters and exclusive economic zones (EEZs) came to our attention this year, though Somalia did reassert a claim to extensive territorial waters in contravention of a previous agreement with Kenya, and the U.S. signed a treaty with Kiribati ironing out sea borders in the Pacific. On the other hand, control over resources on the seabed beyond EEZ limits continued to be a hot topic, with Russia, Nicaragua, Micronesia, Denmark, Angola, and Canada all filing full or partial claims with the a U.N. commission this year. Somalia also made news about its airspace in 2013, final taking possession of its own skies from a U.N. caretaker body that had administered them since 1994. Breakaway state Somaliland, however, objected to Somalia's federal government taking over the entire region's airspace, asserting control over its own portion and refusing to let federal government aircraft land in the territory. However, the dispute was eventually resolved, with Somalia and Somaliland establishing a joint committee for air traffic control in the region. Happy new year, and keep coming back to PolGeoNow for more changes to geography in 2014!